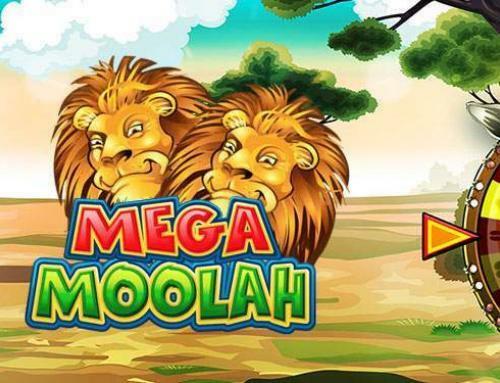 We would like to call this all new experience a new step in online casino gam(bl)ing. This unique live online game show based on the world’s best-loved board game is now here for you to enjoy. An all-new special edition of the popular Dream Catcher game, Monopoly Live takes the excitement and suspense of the world-leading money wheel game and adds unique Monopoly game elements to the game. 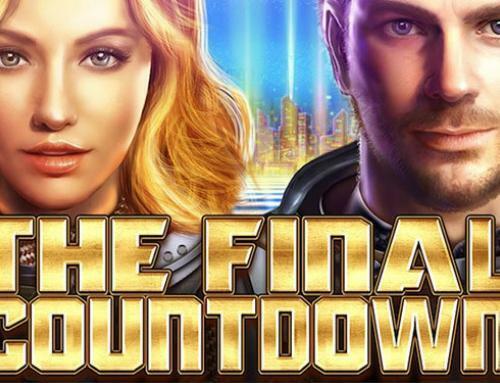 It’s another hot property from Evolution — combining live game action and augmented reality to redefine Live Casino entertainment forever and offer players the chance of massive multiplier wins! 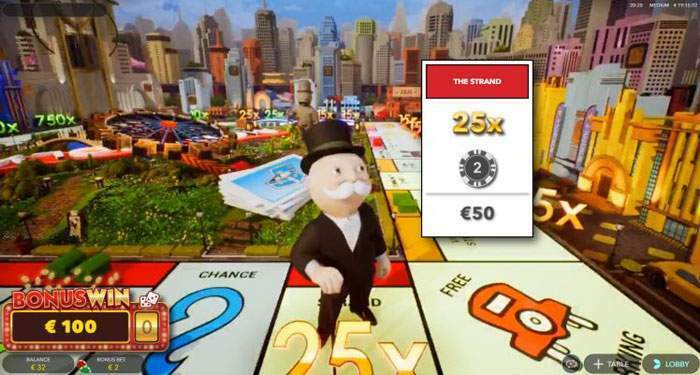 Monopoly Live is a unique live online variant of the hugely popular Monopoly board game. 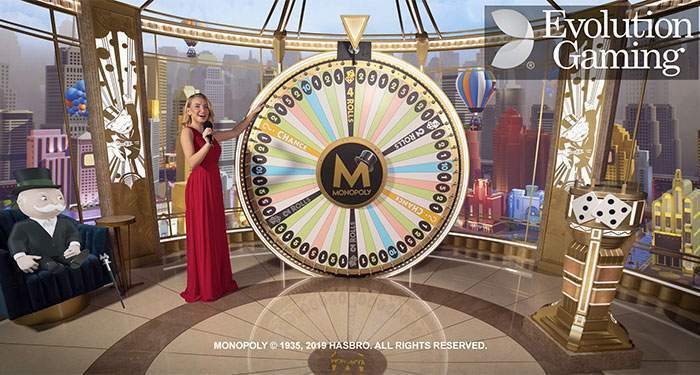 The aim of the main game is simple: A live game host spins the super-sized, vertically mounted wheel and players predict the segment the wheel is going to stop at after the spin, while the virtual Mr. Monopoly sits alongside ready to spring into action. We still find Dream Catcher – or actually any kind of game with a wheel – pretty boring, so the same goes for this game. While Mr. Monopoly is sipping his coffee or reading a paper, you – the player – are also waiting for the 3D action to start. But that is just our opinion of course. As well as offering the chance to bet on the wheel stopping on a certain number, the wheel incorporates ‘Chance’ segments for instant cash wins and multipliers, and also ‘2 ROLLS’ and ‘4 ROLLS’ segments. These latter segments activate a captivating, augmented reality, 3D Bonus game built around the adventures of Mr. Monopoly. And this is where the fun on the Monopoly board begins. Players simply bet on the number they think the wheel will stop at: 1, 2, 5, 10, ‘2 ROLLS’ or ‘4 ROLLS’. If the player bets on the correct number they win a corresponding payout (e.g. 1 to 1, 2 to 1, 5 to 1, and so on). If the wheel stops on a ‘CHANCE’ segment, players are presented with a Chance card by Mr. Monopoly. The card will show either a random cash prize or a random multiplier bonus. If the Chance card shows a multiplier bonus, all player bets remain in place. The game host then spins the wheel again, and the multiplier won will multiply the winnings for this next spin. If the player gets a multiplier once more, their multiplier will be multiplied! To participate in the Bonus game, players must have placed a bet on ‘2 ROLLS’ or ‘4 ROLLS’. If the wheel stops at either ‘2 ROLLS’ or ‘4 ROLLS’, the 3D Bonus Round is activated. When the Bonus game is activated, qualifying players join Mr. Monopoly as he enters his augmented reality 3D Monopoly world and steps around the 3D Monopoly board collecting prizes, multipliers and more. The walk is determined by a pair of dice. Players qualify for the Bonus game by placing bets on ‘2 ROLLS’ and ‘4 ROLLS’ in the money wheel game. If players have not placed either of these bets, they will still be able to watch and enjoy the Bonus game, but they cannot win any prizes in it. All the familiar Monopoly board elements are here from GO, Chance and Community Chest, houses and hotels as well as Jail and Super Tax. The Monopoly board is available in British English, German and Italian language variants. Give this brand new wheel of Monopoly Fortune a go, just make sure you don’t end up in jail.